Nowadays, space travel is on the news every day, with new missions, new launches, and new astronauts working there. What if I told you that there is a way that students can build and put their own satellites in orbit? Does that seem incredible, an unaffordable luxury that almost nobody could afford? Thanks to the Cubesat Standard, this kind of problems are solved. Now, we are going to see some of the most relevant information about this type of satellite. What is a Cubesat? Which is the origin of its name? Some years ago, in 1999, the CubeSat standard project started, thanks to a collaborative work between Prof. Jordi Puig Suari at California Polytechnic State University (Cal Poly), San Luis Obispo, and Prof. Bob Twiggs at Stanford University’s Space Systems Development Laboratory (SSDL). A Cubesat is a standard miniaturized satellite (nanosatellites), which has the aim of a determined space research. The name CubeSat is due to its shape, which is a perfect cube, whose dimensions will be shown below. 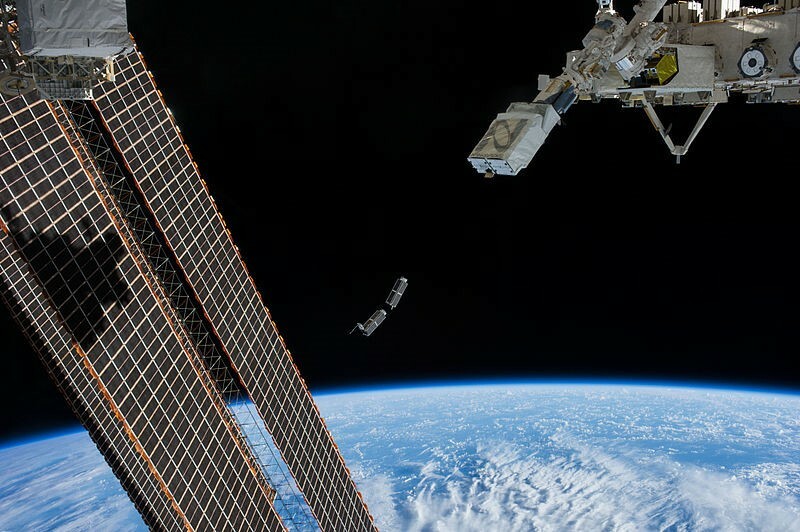 Many universities, enterprises, military corporations and governments have built their own Cubesats for different objectives, but the most common uses are Earth observation, technology demonstration and education. One of its main characteristics is the use of commercial off-the-shelf (COTS) components for its electronic systems and mechanical structure. 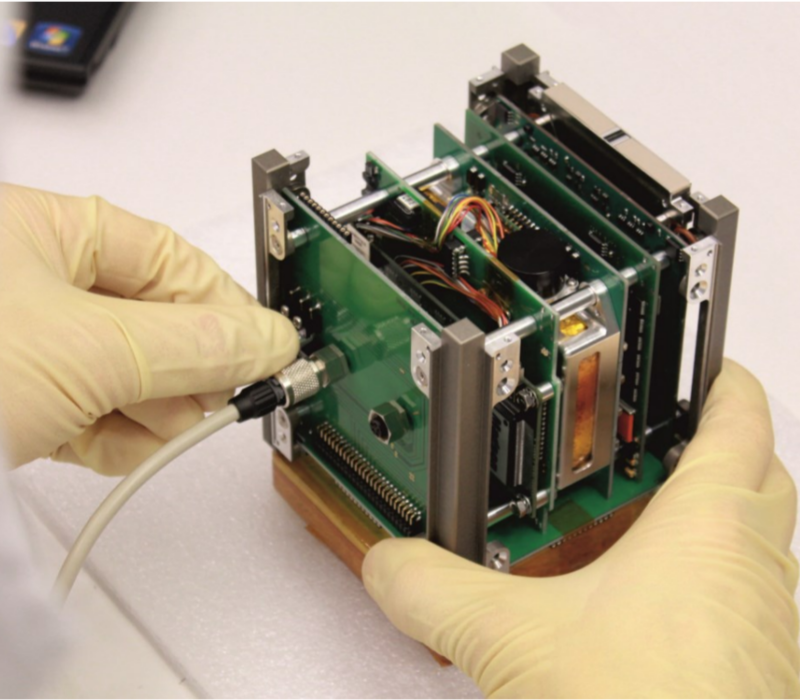 One of the most common sensors that a Cubesat can includes are SunSensors, Startracker, Magnetometers, which allow to know the attitude of the Cubesat and some of them, NanoCameras, for Earth Observation. As you can see in the following graphs, the number of Cubesat launched is growing really fast, and its most common mission type is for commercial purpose (red lines), followed by universities. So, which is the most important progress that the Cubesat has made? Normally, when we think about the manufacturing of a satellite, we think in something impossible for a group of students, or for a company with less experience in aerospace field. Thanks to the standardization of that kind of satellites, there is a reduction in the cost and time of design and implementation, making the access to space easy with more frequent launches. The hardware cost of a CubeSat is normally in the range 50-100k€ but can go up to 500k€ for more sophisticated payloads. Everything depends on the way you build the Cubesat, if you have the capacity of building every part, or you buy different kits and assembly them. Normally, the majority of the institutions, universities and groups of students can afford this quantity. So, if you are interested in aerospace field and want to have a real experience in that issue, what are you waiting for? Moreover, an example of the prices for the launch of a Cubesat can be found on rocketlabusa website, which indicates the price for 1U ($80,000) or 3U ($250,000). But there are a lot of programs for students, sponsored by NASA or ESA .For example: Fly Your Satellite! 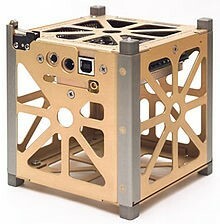 (ESA), which allows to launch the Cubesat for free. These programmes aim at increasing the Cubesat’s chances of mission success, by teaching best practises for spacecraft design, development and verification. We can compare these prices with a normal LEO satellite, for example Envisat (“Environmental Satellite”), which cost €2.3 billion. The length of a planned mission is around 6-12 months, and usually in an orbit altitude between 200 and 1000 km (LEO: Low Earth Orbit). In order to know more about the orbits, check out that article. 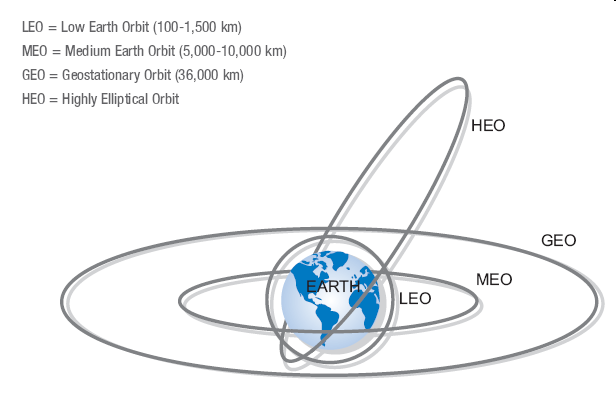 For example, a standard LEO satellite has an average life span of approximately 5 years. There are different types of Cubesat, depending of their size. That information is the general specification of the standard Cubesat, but has probably change some sizes and maximum weights depending on the deployment system of the Cubesat. The deployment system is a device to launch CubeSats into orbit from a rocket or another bigger satellite (launch vehicle). 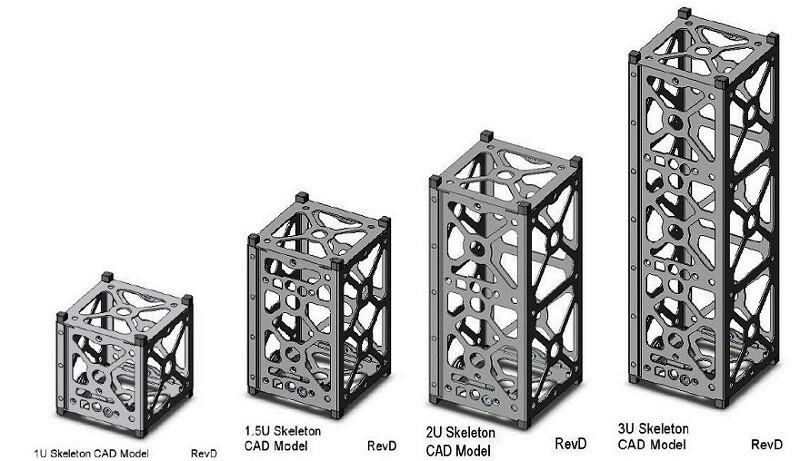 It consists of a structure of metal, which has the capacity of deploy more than one Cubesats, depending of its size. I have some personal experience with Cubesats last year. I worked in one group of students from the University of Granada, building a 1-U sized Cubesat called GranaSAT-I. 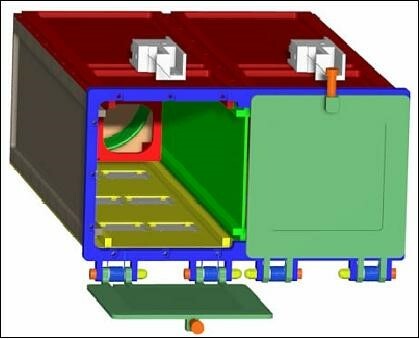 I designed and implemented the testbed for the Cubesat, in order to test most of the subsystems of GranaSAT-I simulating zero gravity conditions. That project opened the doors to the aerospace field for me, and recently, the opportunity to work in an aerospace company, DHV Technology, where we build solar panels for Cubesats. The GranaSAT testbed included an ADCS (Attitude Determination and Control System) that indicated the orientation of the Cubesat in every moment, in real time, which allows me to work with a simulated satellite and its subsystems. Now, GranaSAT-I is working in the development phase, thanks to the collaboration between students and final degree projects of most of them. We hope to be one of the launched Cubesats in the following years!